BRISBANE HOTELS and Brisbane Hotel Accommodation at LOCAL Rates ! Brisbane Hotels and Accommodation at LOCAL Prices ! Online for 10 years ! Brisbane Hotels and Brisbane Hotel accommodation. Hotels in Queensland including the Gold Coast and Sunshine Coast. Brisbane Airport Hotels and Brisbane Airport Motels for cheap and convenient accommodation close to Brisbane Airport. Brisbane has accommodation to suit all budgets and styles. From simple accommodation to the most luxurious hotels, Brisbane has accommodation to suit YOU. In addition to major hotels there are also smaller hotels and boutique hotels. The beaches of the Gold Coast and Sunshine Coast are easily accessable from Brisbane. Brisbane Hotel reviews and hotel location maps makes it easy to choose the accommodation that suits you best. Hot Deals and Last Minute Discount hotel rates. Check the reviews and also the maps. You can sort accommodations by price or Brisbane location. When you visit Brisbane Australia why not take the opportunity to visit the many locations that are close. Coastal towns and beaches, inland Australia. We wish you a Wonderful visit to Brisbane ! A wide choice of hotels from Budget to Luxury. With sweeping views down the Brisbane River, Quest on North Quay is located in the heart of the city centre offering convenient access to the central business district, convention centre, Southbank and sports stadiums. A soaring 30 storey tower, prominent on the Brisbane city skyline, the new Pacific International Apartments provide spacious, sophisticated accommodation. Located near the heart of the city's bustling entertainment, business and Chinatown precincts, these contemporary apartments are ideal for business travellers, holidays and long-term stays. All of 172 spacious appartments, elegantly appointed apartments have balconies boasting panoramic city or river views. When it comes to the 'best kind of welcome', at the best location, the best style, the Mercure Hotel Brisbane has it all. Overlooking the Brisbane river at North Quay, the hotel features panoramic views over Southbank Parklands, the Cultural Centre and the Convention and exhibition centre. 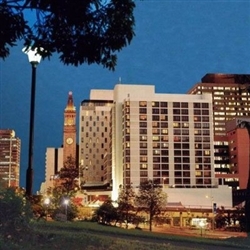 Ideally locate in the heart of Brisbane City, the Mercure is a short stroll from all of the City's attractions. The Newly refurbished 194 modern guest rooms or suites ensure your stay in the hotel is the best of breaks, offering convenience and comfort for the leisure travellers. Brisbane Hotels and places to stay in Brisbane Australia. Brisbane airport hotels and hotel accommodation close to Brisbane Airport. Brisbane tourist hotels and hotels close to on the river in Brisbane. Brisbane discount hotel rates Brisbane cheap hotel rates and discount hotel rates for Brisbane Hotels. Places to stay in Brisbane Australia.